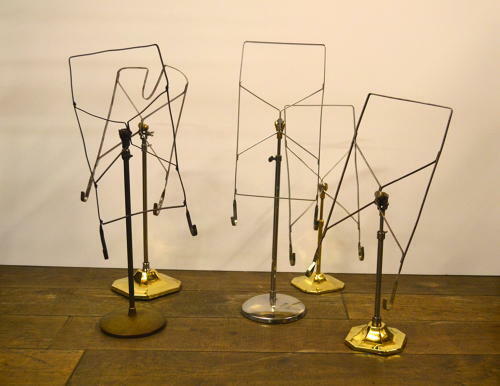 1920s - 1950s shirt display stands originally used in menswear shops for displaying folded shirts. Can be used for various purposes, such as displaying small pictures and sheet music - it could also be reused in the fashion industry. From £45 - £80.